Made of corrosion-resistant stainless steel and polypropylene components, use these sensors in applications with sanitary requirements. 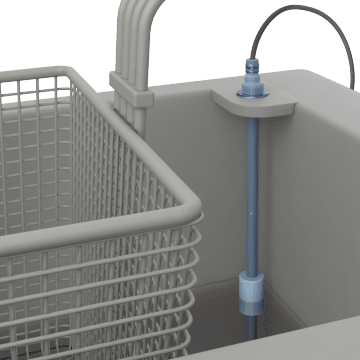 They have a switch that is mounted to the tank or reservoir and a vertical float that raises or lowers with the liquid in the tank or reservoir to continuously monitor the liquid level. The sensor sends an electronic signal to controllers, receivers, or displays to communicate the liquid level measurement.